You have 16 characters left. Do not use HTML. Starting Number You have 7 characters left. Do not use HTML. 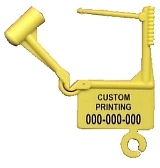 The Demand Seal is an extremely versatile security seal commonly used where seals need to be changed quickly, easily, and without tools. Medical personnel use the seals on medical kits and crash carts where it must be guaranteed that items are present and sterile. Law enforcement implements the Demand seal on evidence to ensure tampering has not occurred. Airline personnel must be able to follow restrictions of sharp instruments onboard aircraft, the tool-less installation and removal allow compliance. Universities and schools secure student lockers during breaks and during yearly locker assignments to insure clean and inspected storage areas for students. Additional uses are Taxi meters, ATM cassettes, Zippered Bags & Pouches, and any place tampering could occur. 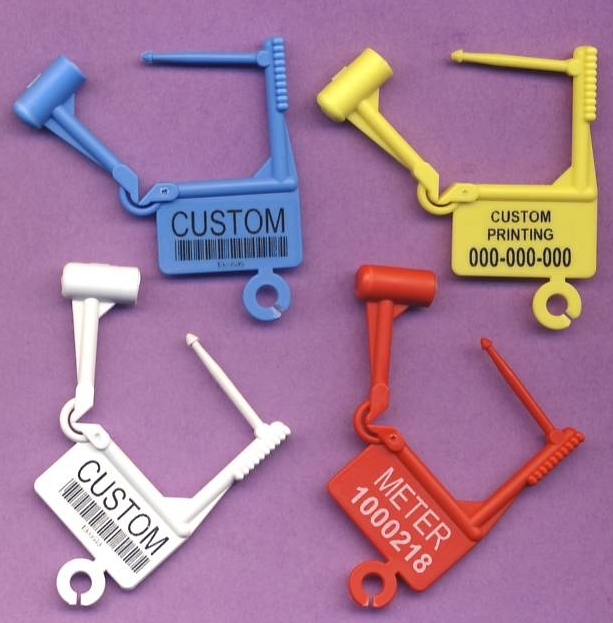 Minimum 1000 pcs (1 unit) for Custom printed Demand Seals.